Light-weight mobile-accessible websites that look sensible on all the devices; while not compromising on the usability or practicality. coming up with mobile user interfaces is our speciality. Radhika Beach Resort is a popular and beautiful location situated at the very picturesque seaside town of Diu, Gujarat. The resort is a popular getaway destination of sun, sand and surf for people from the region and also for international tourists. The client wanted to grab greater traffic online with a revamp of his website. But we gave them not only that, but a lot more. 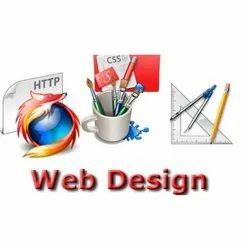 If you are those business owners who are looking for Best Website Design Services, then we give affordable and professional custom web design to let your business grow at a rapid pace. We have web design experts, who are specialized in building websites with logical designs that automatically attract the target customers to your website and grow business. Use of internet in the mobile phone is accelerating due to the innovation of smart phones. The sites are now browsed in mobile. So your presence in mobile web will add value to your business. Get connected to your customers in their handsets. The mobile Web refers to browser-based Internet services accessed from handheld mobile devices, such as smartphones or feature phones, through a mobile or other wireless network. Traditionally, the World Wide Web has been accessed via fixed-line services on laptops and desktop computers. We have created our own techniques by providing best solution for mobile webs, we use ultimate browser extensions and various scripts to handle any major devices resolution. Verify your website users mobile number before registering them in your database to avoid any breach of security and identity theft.